Have you seen our amazingly, wonderful dogs who are looking for their forever home? Come out and meet some of them this weekend. If you’ve never been to historic Chester, it’s a quaint little town with tons of antique shops, boutique shopping and a nice coffee shop. Learn more about what Chester has to offer. I’m part Pomeranian and part Chihuahua and I am 100% sweeet! Check out my awesome hair do—-I have some seriously good-looking locks. A little bit honey and a little bit cream and all around beeeea-u-ti-ful! I looooove playing with squeaky toys and ropes. Check out my totally rad video where I give my toy the what-for (yeah, I’m on You Tube). Woot! Woot! And, hey, don’t worry. I so know how to go outside to do my biz-ness and I am down with sleeping in my crate when you gotta go do those things you do. I love hanging with other dogs…no matter what their size. What can I say? I’m a lover not a fighter. Well, hello there ladies. I am Tiko. Tiko Suave. But you can call me Tiko. I am a mature Chihuahua gentleman looking to spend my golden years relaxing in the sun and enjoying the company of others. We could partake of a delicious meal together and then go for a nice evening stroll through the neighborhood. We’ll stop and say hello to all of our friends and perhap enjoy tip-toeing through the tulips. In the evening, you could curl up with a good book and I will enjoy a delicious Milk-Bone. If you’d like to see me in person, you can schedule a meet and greet with one of the volunteers from Coming Home Rescue. 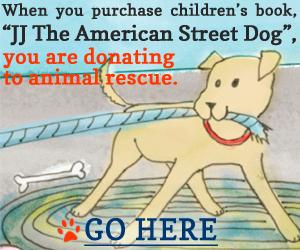 They can be reached at 1-888-405-7221 or send them an email info@cominghomerescue.org. 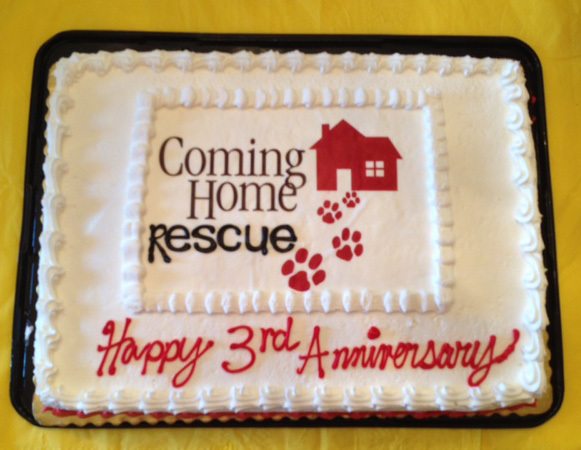 We’re celebrating three years of saving over 375 dogs lives! You can help us celebrate by spreading the word on various social media sites. And, as always, you can click on the “Share This” buttons at the bottom of any blog post. Thanks for helping us tell as many people as possible about all the wonderful dogs who are looking for their forever home.